"Theathrythm Final Fantasy will be the first of many to feature the logo to celebrate the anniversary of the franchise. The very first Final Fantasy was released for the Famicom in Japan on December 18, 1987." Lawl. Lightning is King and Vahn is a queen. The commercials that Japan got for FFIV are a thing of beauty. 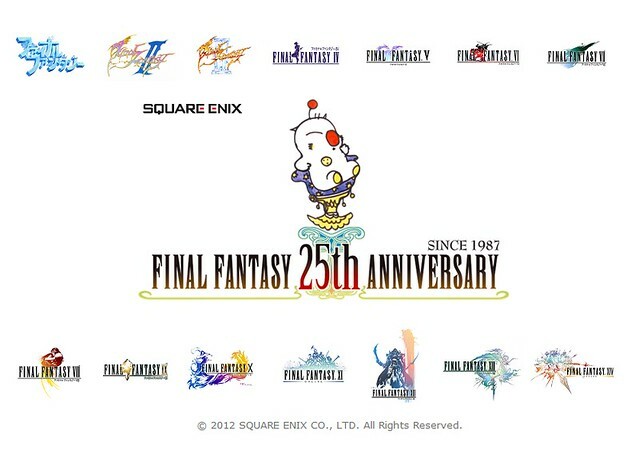 Is like Square at that time knew that Final Fantasy was popular enough that the only thing that they needed to do to sell the next title was putting an Ostrich with the Chocobo theme in the background and everyone would buy it. ...and I guess they did since even to this day Square can't stop making a remake everytime they have the chance. First one played was... 2/4. But I remember friends of the family having the first game. Classics. But will Squeenix make a "classic" FF again? Is it sad I'm looking forward to 10 in HD? Eh I dont quite agree with that last part. Ive been having alot of fun with ff this gen. Pretty much on par with any other I would say. Ive been playing ff rhythm, and I have to say it moved me emotionally just to listen to all the music again. And then there was ff type zero which I finished not to long ago, which was the best action rpg I played all gen. I'm not talking spinoffs (I'd like to play TheatreRhythm myself), and I'm not talking about being emotionally moved by music. But hey, different strokes. I dont quite think I am in the minority but I liked 13. I think you would be, actually. I'm in the lump that said it was good, but by no means repayable or "epic"in whatever sense. I however applaud them making woman's hair to look like something other than a bob.